It is always gratifying to witness a group of construction leaders gathering to discuss the state of our workforce and what might be done if we acted in concert. I experienced that recently in Atlanta, Georgia at a meeting of the Construction Industry Employer's Roundtable. As a guest of MAREK and MEMCO Atlanta, I joined approximately 12 construction trade associations represented by about 20 executives, along with a few contractors and specialty contractors, who were recognizing the one-year anniversary of their existence. The formation of this group acknowledges the workforce challenge facing the construction industry, across our nation, and the need for the industry to come together to collaborate, develop a collective voice, and align strategies. While there were potentially significant resources in the room, our industry's ability to act collectively in the workforce area has been challenged. Thus, Kenig's goal, or expectation of the group remains simple and straightforward: communicate and coordinate, both of which will allow broader action going forward and can eliminate the silos and redundancy that cripple collective action. In addition to the big picture discussion, I learned about an organization aimed at workforce issues across a broad area. The BLU-Business Leaders United for Workforce Partnerships, where Atlanta has the first local chapter, connects the construction industry to other businesses, and can amplify our voice. I found it interesting that this group intentionally focuses on the employers of the construction skilled trades, and their respective associations. Given that employers represent the single most powerful leverage point in the workforce development process, it makes sense to begin here. Employers bring several important factors to the table, including the jobs they create for skilled workers (or aspirational craft workers), the performance expectation that can translate the learning and application of skills into consistent daily production, safety, and quality, as well as the wage and career growth that comes with this success, ie., a career path. In my learning experiences around workforce development, I consistently encounter a lack of awareness on the part of construction employers about their responsibilities and opportunities to impact the broad supply chain on workforce. Employers are where the rubber meets the road, where training is expected to produce results, and where results should translate into reward. I certainly hope that CIER is able to communicate and capture this critical aspect of the workforce issue. 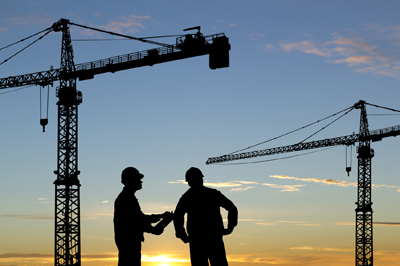 Construction employers and contractors can make the value proposition to construction owners and general contractors that their policies for hiring specialty contractors and general contractors should include, and place specific value on, workforce practices. Too many times the message sent by owners and general contractors when procuring the labor services of specialty contractors is contradictory and focused solely on the lowest bid, rather than evaluating the effective employment, training, and performance practices of candidates for the work. My perspective is informed by involvement with Houston's C3 (Construction Career Collaborative), the Greater Houston Partnership's Upskill initiative, and the many critical partner organizations now contributing to this great work. Nonetheless, I attended out of passionate interest in the workforce and intense curiosity about anything that might be working, regardless of where. If you're a construction employer operating in the Atlanta, Georgia region and are experiencing workforce issues, or can bring resources to bear, you need to get plugged in to CIER. If we're going to prevail in this tug of war for human resources in construction, we need everyone pulling on the rope.